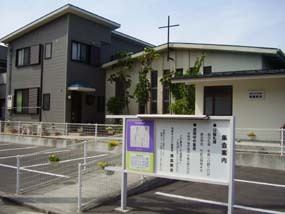 Please join our meetings and activities at the TOKUSHIMA Christian Reformed Church in Sako 2ban-chou. You are most welcome to attend our Sunday Morning Worship Services at 10.30 am. You will also be very welcome at our Thursday Evening Bible Studies at 7.30 pm. 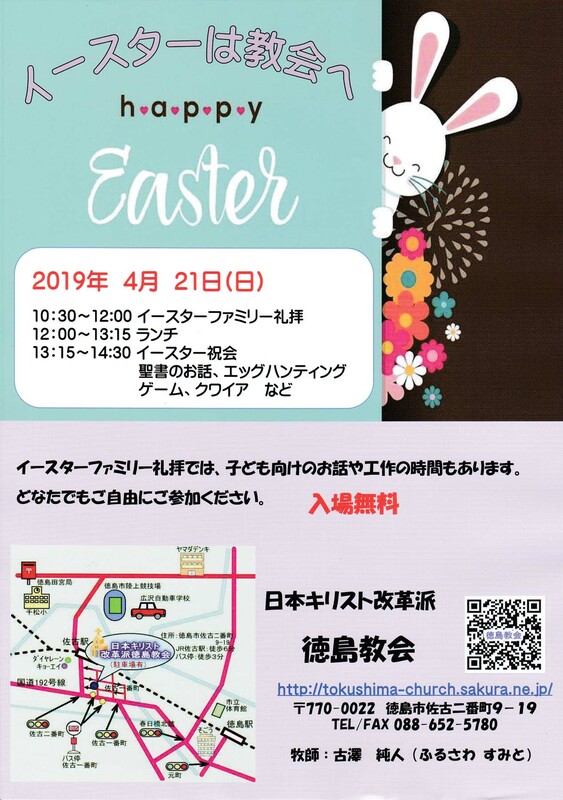 on every month's third Sunday(14:00〜). Please click the photo to look at the inside of the church.